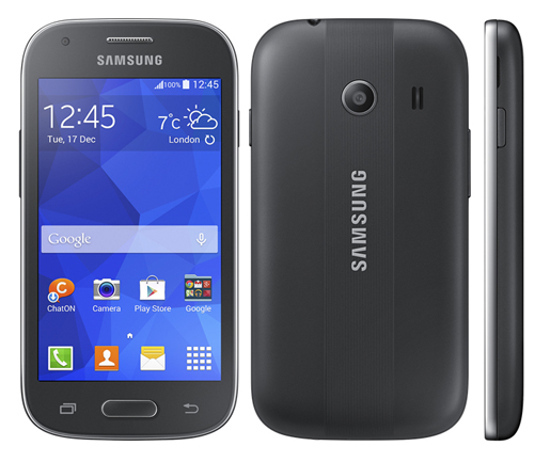 Samsung Galaxy Ace Style, the latest budget smartphone from the company is now official. Price of the Samsung Galaxy Ace Style is not announced yet, but considering its specifications it would be under RS 11,000. The most stunning thing in the phone is that it runs on Android 4.4 Kitkat, so you don’t have to wait for updates. There is no info whether there will be Dual SIM variant for the phone or not. Samsung has included CHATon messaging application in new Ace Style. It has 4 inch WVGA display and 1.2GHz dual core CPU. It houses 5-megapixel primary camera and aVGA front imager. The handset has 512MB ram, would make you despondent if your perform multitask on your smart device. There is 1500 mAh battery, which would also be not enough in many cases. The Samsung Galaxy Ace Style comes in White and Dark Gray color.